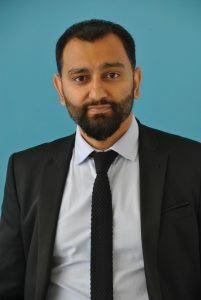 Mr S Ahmed, Assistant Headteacher, is part of the ‘Deep Teaching and Learning Team’ and is responsible for Assessment, Marking, Initial Teacher Training and has a strategic overview of the Science Directorate. He graduated from University of Leicester with a degree in Chemistry and then completed the PGCE (Teacher Training Programme) at University of Birmingham. After six years teaching at Great Barr School he joined Broadway Academy in September 2007 as a middle-manager and rapidly progressed up the career ladder. He was in charge of Teaching and Learning within Science, two years later advanced to Assistant Director of Science, shortly after became Director of Science and now an Assistant Headteacher. He is a well-known member of this community and has a great passion to give back to the community by continuing to build aspiration, improving parental engagement and create a love of learning as a means of educational and economic success.